Power plant: One 400shp/298kW Liberty 12 or One 375shp/280kW Rolls-Royce Eagle Vlll or One 450shp/336kW Napier Lion. The DH-9A was an important aircraft for Westland, who were given the responsibility for the installation of the American Liberty engine. Westland subsequently became prime contractor for the type, producing 355 aircraft. The effect was that the design capability at Westland became well established. 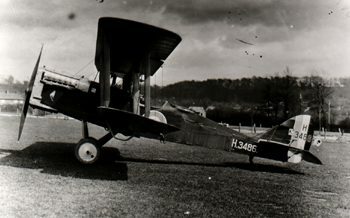 The DH-9a providing a basis for much of its post war work.